Single? Living alone? Small Family? Then this machine is ideal for you. 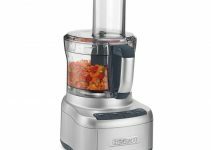 This Cuisinart mini food processor won’t take much space on your kitchen counter and will be very handy. It’s a perfect addition to your kitchen for small kitchen work. Before you begin reading below for detail analysis we recommend that you have a quick 30-second look at product page by following this link Amazon. It has brothers and sisters that also come in 3 cups, 4 cups, and 24 oz size. With slight changes and name changes, this unit comes in a variety of colors and finishes. You can spice up your kitchen with a metallic red finish or get a brushed stainless. Chrome finish for future tech look or if you are into minimalistic design then a white one would suffice. Depending on the size you choose you to have the freedom the color as well. Used ones are also available here but for the economical price it is available a newer one would be a better decision. 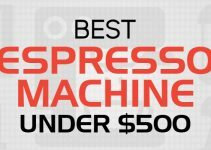 You will be surprised this small machine is equipped with such strong blades that have this amazing feature to be able to move in two directions. One direction is to chop while the other is to chop or grind your onions readily. It can also handle medium density food items and you can make herb butter. The motor is powerful with 240 watts but doesn’t put too many tough items as you may get smell something burning. On safer side fill the bowl from half to two thirds, do not go beyond as it will put more load on the motor. The best part is after you are done you can put it in the dishwasher and get it cleaned. The base or motor part can be cleaned with a wet cloth. So don’t worry after you chop your onions, peppers, tomatoes, salsa, pesto, make creole/Cajun, grind meat it’s easy to clean. Just when you do some seafood work like mincing shrimps you might want to add some lemon juice to totally kill the smell. The pulse function is to allow you how much chopping or grinding you need. If you need coarse results 4 chops would suffice if you need finer result then 7 pulses would do the trick. The one function is the push button, you need to press it down. Once you release it the motor would stop. You can hold down the on the button for continuous time and get more control over the texture of result you need. If you want to get more versatile result then an addition of Cuisinart Smart Stick CSB-75BC 200 Watt 2 Speed Hand Blender can give you more comprehensive control. Its available at a very reasonable price and will give you more control along with this Cuisinart mini food processor. It’s highly economical in its price and what it offers. It’s also ideal for grinding your pet’s food. Ideal for a small family and choosy pets who prefer finer food than big chunks. The machine has four pieces, the base is the motor which acts as the base you need to plug it into the wall. The bowl which should be filled ½ to 2/3 of its size only. The blade which can move in 2 directions for chopping and grinding and top lid which you can close. It also comes up with a spatula that will help you to get things out from the bowl. It’s a small machine for small jobs. If you want to get a big family dinner ready then you would have to process in multiple batches. Don’t be too harsh on this fella higher density items like kneading dough would not be an excellent idea. The machine has medium range noise. There is no reason why you won’t like to buy this at this economical rate and such big and credible brand name. 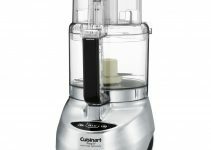 This Cuisinart mini food processor comes with 3 years of warranty and would be a great addition to your kitchen gadgets. Here head over to Amazon and read amazing reviews a big number of people have left for it.